If you’re looking for an IP call center for your business, look no further than Nectar Desk. 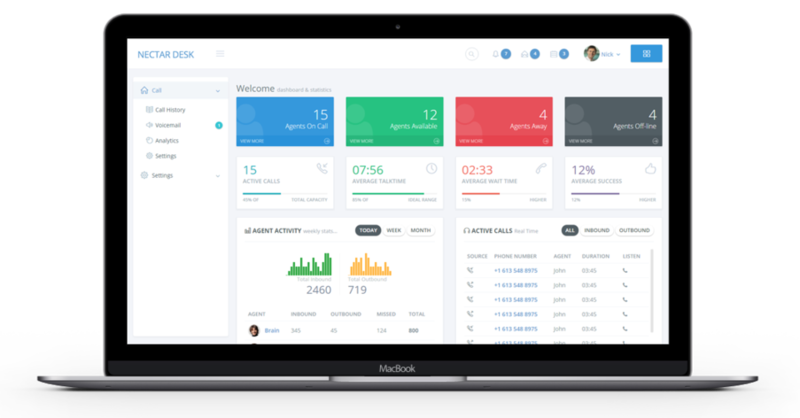 Nectar Desk also provides an analytics dashboard to help you better understand your data and manage your call center accordingly. Alternative comparisons clearly show that Nectar Desk stacks up phenomenally against other providers such as TalkDesk, Five9 and Aircall. Also, our CRM capabilities allow you to integrate with the best CRM tools. Zendesk, Active Campaign, Teamwork Desk and Pipedrive all integrate smoothly with Nectar Desk. You don’t even need a credit card to get started with Nectar today. Make the decision to better your business with Nectar Desk.